Walker’s version of Brel’s ‘La Chanson De Jacky’, brilliantly translated by Mort Shuman as the re-titled ‘Jackie’, became his first solo hit, entering the chart in December 1967 and peaking at number 22 (the subsequent album, ‘Scott 2’, which featured ‘Jackie’, was a UK chart topper). It was one of the most distinctive singles of the time, and something I fondly remember from my youth, although I didn’t have a clue what it was all about. It was certainly somewhat risqué with its ‘bordello’ and ‘opium den’ settings, not to mention the ‘authentic queers and phony virgins’ and ‘a singer with a Spanish bum’ – the BBC banning it from the airwaves, although it was performed on ITV’s Frankie Howerd show, ‘Howerd’s Hour’. It’s one of those songs that you can only fully appreciate when you have a few years behind you, as I realised when I re-connected with it more recently, prompting me to affectionately include it as the closing track on the first edition of my Random Influences series. Scott Walker would be a major inspiration for many recording artists, including David Bowie, Brian Eno, Julian Cope and Marc Almond, who recorded his own cover of ‘Jacky’ (reverting to the original spelling) in 1991, taking the track into the top 20. However, Walker’s magnificent rendition remains the definitive version. For those interested in further exploration I wholeheartedly recommend the 2006 documentary, ’30 Century Man’, which traces Walker’s pop-star rise to the increasingly experimental twists and turns his career would consequently take. He still records his own somewhat avant-garde material and, in 2009, collaborated with the band Bats For Lashes on the song ‘The Big Sleep’. I’ve loved Scott’s music since discovering him through a TV documentary a few years back, playing them to the point where my wife suggested there was more than just a musical appreciation going on! A lot of the credit for the arrangements on the first four solo albums does need to go to the late Wally Stott(now Angela Morley!! ), who, somewhat amazingly, claims on 30th Century Man to not remembering recording the albums! 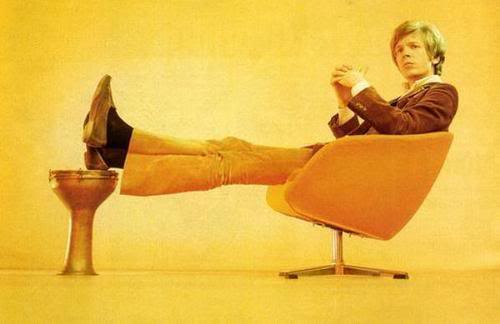 Scott Walker, the greatest! I rediscovered him lately.